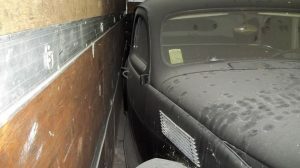 If you’ve been looking for a good winter project and are a fan of the 1957 Chevy, reader James B has a good project for you! 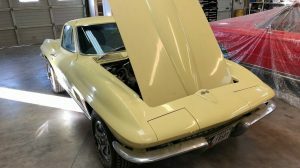 This two-door hardtop is going to require a complete restoration, but it comes with a trailer full of parts to help you get it back together. According to the VIN, this is a real Bel Air, but since it might be tempting to customize it a bit. So, if you are ready to undertake a ’57 Chevy restoration, message James via the form below! What Makes It Special? It’s a 1957 Bel Air 2 door hardtop! 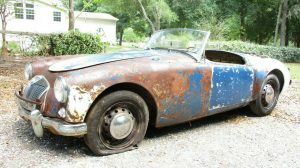 It needs restoration but is a good place to start. Body Condition: The body is in good condition but is unassembled. Mechanical Condition: The motor and transmission are out of the car. A 7 FT X 16 FT trailer full of parts is included. Call for more information 770-328-2750. So, would you restore this Chevy back to original or would you go a more custom route? It comes with the original engine and transmission, but an LS swap would be fun! Thoughts? 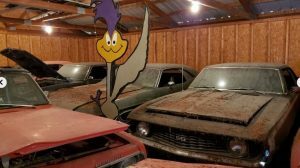 If you have a project that you aren’t ever going to finish and you want to see it go to a good home, consider listing it here on Barn Finds! If only I had 7500 and a 35′ trailer!! $7500 for the trailer and he will throw in the body and the parts! It better be a long winter! Worthy project but are any of the parts new or will most of the soft parts be replaced anyway? It doesn’t COST much to take them apart! Good deal for someone, depending on what parts are in the trailer, says he has orig engine but doesn’t say what it is. 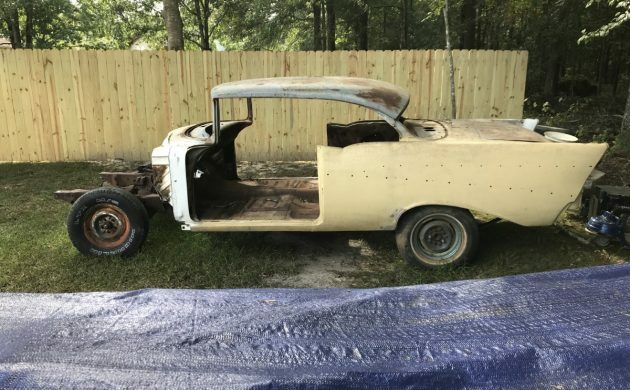 If you’re looking for a 57 Belair project, this might be it! nothing prettier than a 57 in its stock form, except for A 57 Ford in its stock form!